My name is Agum Aliir. 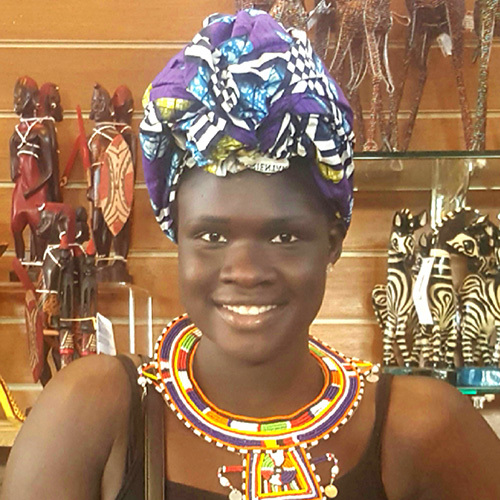 I came to Australia almost 10 years ago from Uganda as a refugee. I am studying Bachelor of Media and Communication at Swinburne University. I am an active member of South Sudanese community. We deal with many youth who either were or are in a situation of domestic violence, and plan community events to engage young people. I am grateful. I am a public speaker and I share my journey and life experiences. I was arranged married at the age of 15. I went through family violence and I can now say I have found a voice to speak out, spread awareness and give insight to what someone like me went through. It is important as an individual to play a role in our community to stop violence against women and children. Young people need to learn about respectful behaviours from an early age. As adults we need to help by not making excuses – blaming girls for what they are wearing, or excusing boys because, as we often hear, “boys will be boys”. Domestic violence starts with disrespect, stop it now and don’t give chances. Domestic violence is something that I take seriously. I want to spread awareness through my network to adults and young children from African backgrounds to stand up against disrespect in their community, family and their social circles to help break the cycle of violence. This is done by coming together as a community to discuss things that are affecting our community and promote positive experiences through all kinds of connections. To reduce the incidence of violence against women it is very important to influence young people by making respect a social norm, whether it is through gatherings, circles, homes or at schools. The health, social, economic and other consequences of the problem are too much to ignore and taking actions to address the start of violence against women and children is crucial. Our community needs to create a safe space where no excuses for disrespectful behaviors are tolerated. I want to put an end to violence against women and children in our society. It is now time to stop at the start and say no to disrespecful behaviours. There are a range of resources that can help adults to reflect on their own behaviour and language. I encourage you to look at the Stop it at the Start campaign materials available on this website. Previous Blog post We all make easy excuses – what excuse can you stop?